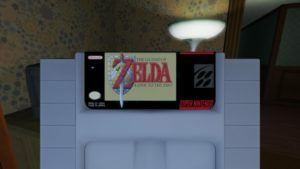 Acclaimed indie title Gone Home was recently ported to the Switch, giving Nintendo fans the chance to experience this unique adventure if they haven’t already. The game follows the story of a girl named Katie, returning home to her family after traveling abroad, only to find an empty house. It’s up to the player to search the home for clues to find out what has happened with Katie’s family during her absence and to learn just where they have gone. The game has not only been given new life on Nintendo Switch, but it also contains a few new secrets to discover for Nintendo fans! 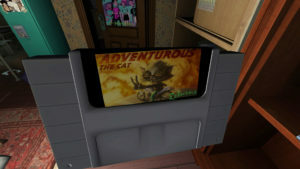 Gone Home initially launched on PC back in August of 2013. 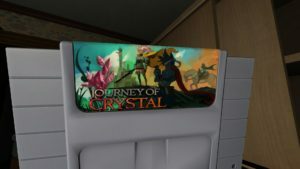 In the original version, the player was able to explore one of the family member’s rooms and find some parody Super Nintendo cartridges, featuring titles like Journey of Crystal and Adventurous The Cat Returns. 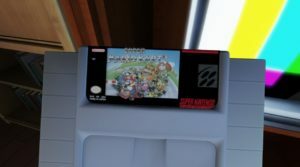 In the recently released Nintendo Switch version of the game, however, those cartridges have been updated to feature officially licensed Nintendo games! 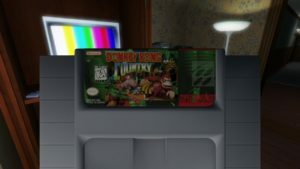 The Legend of Zelda: A Link to the Past and Donkey Kong Country are among the few to be recently discovered. 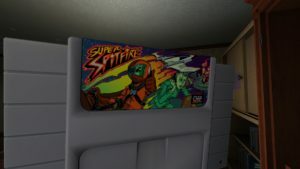 None of these classics are playable within Gone Home, but it’s still really nice to see that Nintendo allowed developers Fullbright to add these classics to their game. Gone Home is available now on the Nintendo Switch eShop and available for pre-order physically through the iam8bit online store! Thanks to Twitter user liamdohertee and The Fullbright Company for the photos!